Whether it’s a birthday, engagement, anniversary or christening at Pontlands Park we have the venue, catering and staff to make it an event to remember. We have a variety of function rooms available and can cater from 2-200 guests. For more information about the different options available for your event and prices, please download our function brochures Party at the Park, Functions Brochure and our Terms and Conditions. 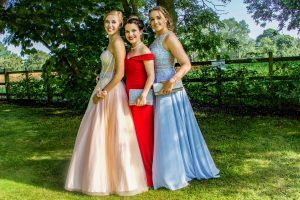 We also can host your school prom for as little as £30* per person. For further information, please download our School Proms brochure and our Terms and Conditions. Looking to host a Charity Event? Please download our Charity Menu and our Terms and Conditions. As a philanthropic company we subsidise these menus to help support local charities, in addition to our work with the Bartella Family Charitable Fund. To book an appointment or to make a booking, please contact us on 01245 476444 or email sales@pontlandsparkhotel.co.uk to arrange an appointment with one of our experienced members of the team, to discuss the plans for your event. I had the most amazing birthday party here. The canapés were absolutely delicious and the service was friendly and really helpful. The conservatory was lovely and everyone that came was really impressed with the venue and the food, in fact everyone has been raving about the party ever since!